The renovation and refurbishment of a bathroom can transform your home from something familiar into a something that feels brand new. And, by working with a kitchen fitter in Bromley you can trust, it needn’t cost a fortune to complete. At AC Installations, we’ll provide bathroom-fitting services that meet your needs, and help shape your home into the property you deserve. Thanks to over 20 years’ industry experience, we’ve become accustomed to working with homeowners of all property sizes. Regardless of budget and style, we’ll be able to source the bathroom you need, and fit in a way that is efficient and affordable. We’ve worked with such leading manufacturers as MFI, Homebase, and Wickes in installing their bathrooms, so there’s no job we can’t handle. Like any tradesman, we pride ourselves on upholding the very highest standards of product and service. Our reputation is essential to our success, which is why we value quality communication with all clients. By visiting such renowned websites as Check a Trade and My Builder, you can view just how valued we are among our customer base, and see for yourself the quality of work we provide to an array of clients. What’s more, being fully Kent County Council Trading Standards Approved and Gas Safe registered, you can rest assured we are fully compliant with all necessary standards. To find out more about how AC Installations is able to fulfil your bathroom fitting needs, or to receive a competitive and impartial quotation for any required work, simply get in touch with our friendly team today on 07718 622940. 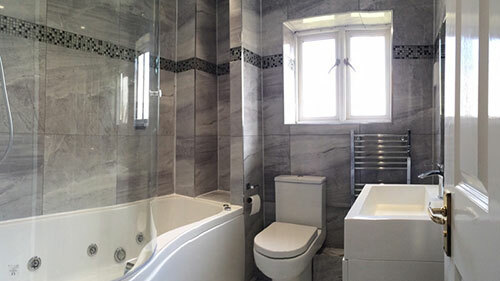 Our aim is to be the very best bathroom fitter in Bromley, and only by working we you can we hope to achieve this goal.